The 2014 Home Health and Hospice Acquisition Report – Preorder Today! There’s no quicker way to get current on the home health and hospice M&A market or review historic M&A data. Learn all about today’s home health merger and acquisition market, not just what’s covered in major media. Take advantage of our limited time free webcast offer: Order by August 31st and receive an exclusive FREE webcast, “Home Health & Hospice M&A: Consolidation is in the Air”! 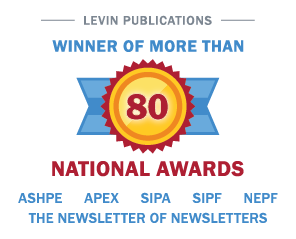 Go to http://www.levinassociates.com/landing/orderhhh or call 800-248-1668 to order today. The SeniorCare Investor is celebrating 50 years! Reserve your ad space now in our 50th anniversary editions to be published this fall. For more information visit this link.